The Oxo Good Grips Salad Spinner is an excellent product. It is actually Amazon's bestselling salad spinner as well as the spinner with the best customer reviews having received over 300 five-star customer reviews! Not only does it do well statistically it also performs amazingly. I absolutely LOVE my salad spinner! It makes a job that I do not like doing fast and easy. 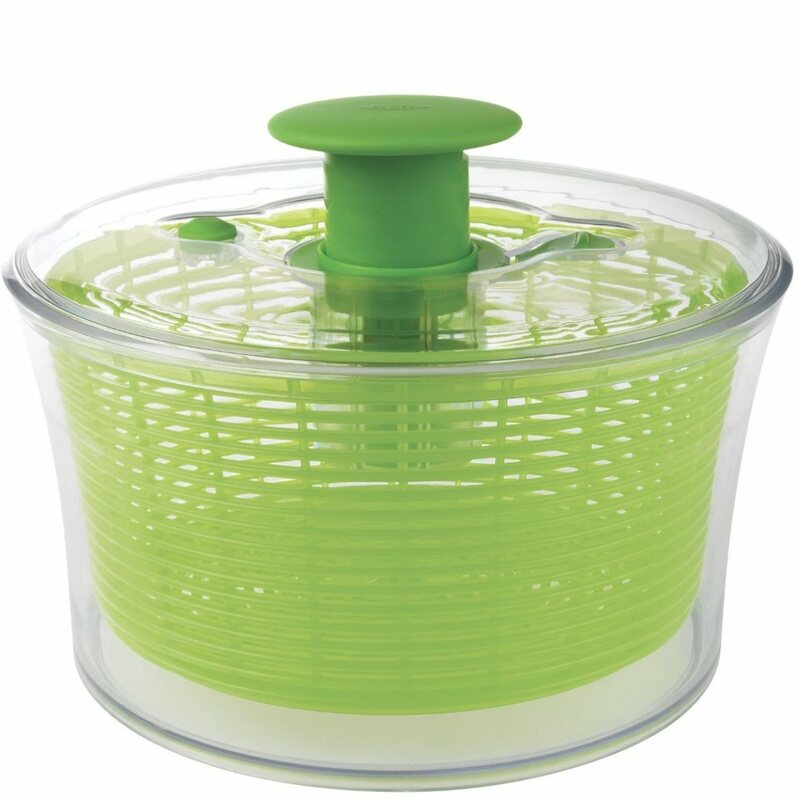 If you are still struggling with an old salad spinner that doesn't work properly or worse yet still drying your lettuce on a kitchen towel, I recommend you give the Oxo Good Grips Salad Spinner a whirl! 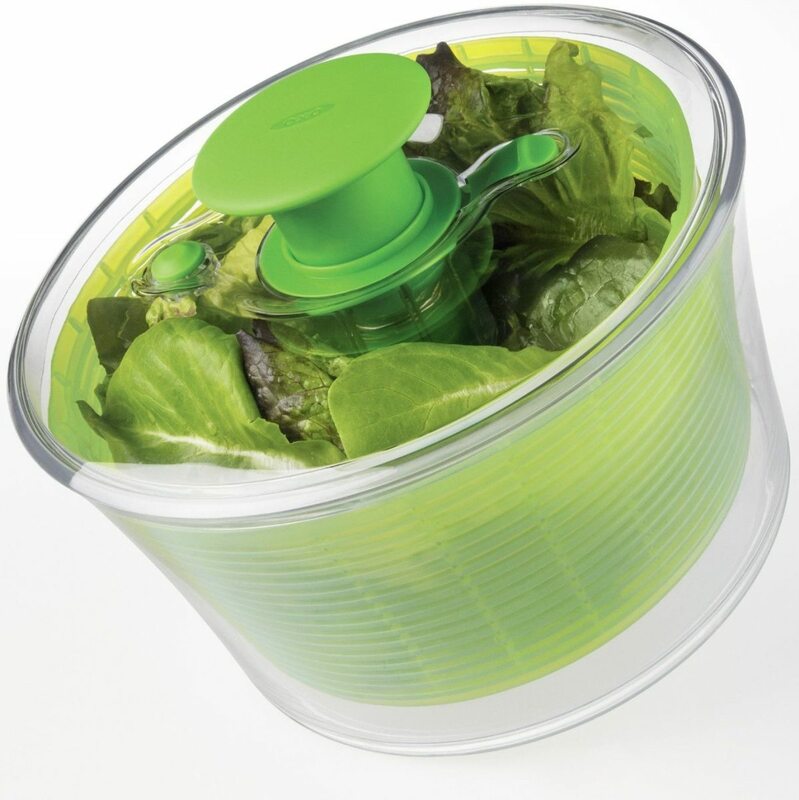 Click here to order your Oxo Good Grips Green Salad Spinner from Amazon. 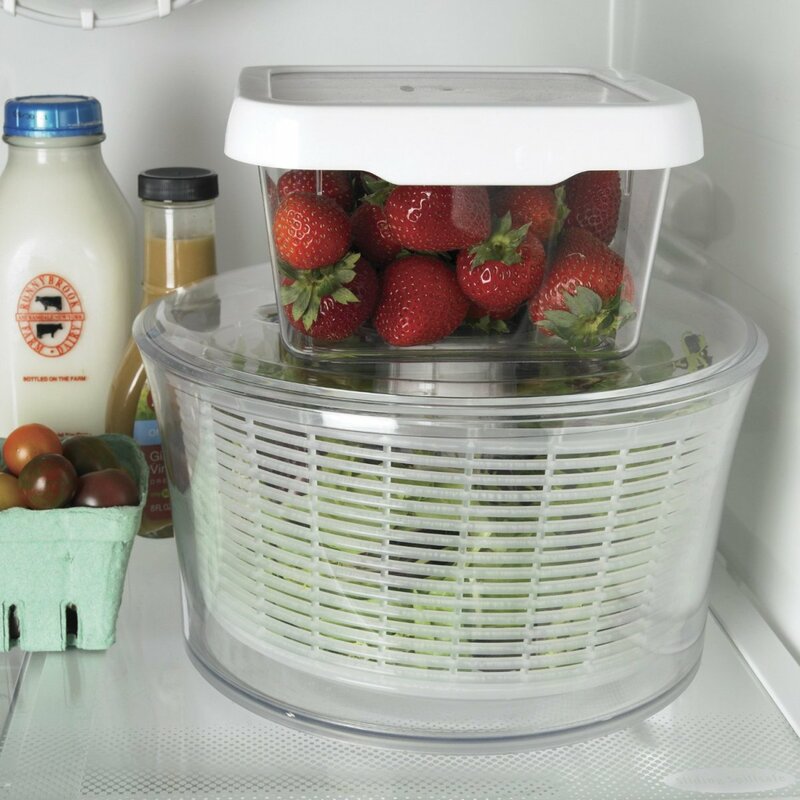 The Oxo Good Grips Salad Spinner is great for washing and drying lettuce, herbs, greens, grapes, strawberries. Just about any fruit or vegetable! Is easy and fun to use! You can make it spin with just one hand! Has a soft, cushioned, nonslip knob. Has a 'brake' button stops the spinning quickly with just a fingertip. Has a handle that locks in the down position to make it easier to store. Has a non-slip ring on the base. Is dishwasher safe on the top rack. If You Like To Make A Lot Of Salad, I'd Highly Recommend Getting A Salad Spinner! How Does A Salad Spinner Work? It's pretty simple, actually. You place the clean, washed lettuce in the basket, place the basket of lettuce in the bowl, put on the lid, press the large button and...in a matter of seconds you have clean, dry lettuce for your salads. 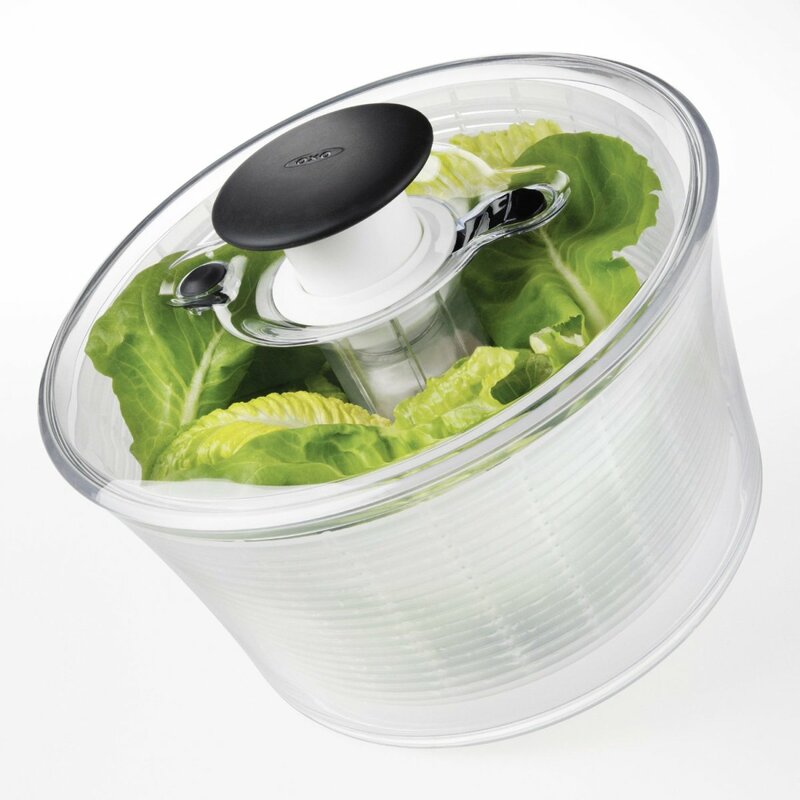 The spinner uses centrifugal force to spin the lettuce dry, the water collects in the bowl. "You really win with this one. Wash, spin, store...so much less to wash and it is never boring. It is quite large so you do need a big space to store it in the refrigerator, unless you have a big refrigerator, then it is no problem." "I was introduced to OXO tools by my sister when she gave me one of their peelers. She swore that it would make me search for things to peel because it was such a pleasure to use. She was absolutely right! Since then I have become an avid OXO devotee and own many of their products. But the VERY BEST of them all is the OXO Salad Spinner. I adore leafy lettuce but always found washing it to be such a chore that on some days I would just skip the salad routine altogether. 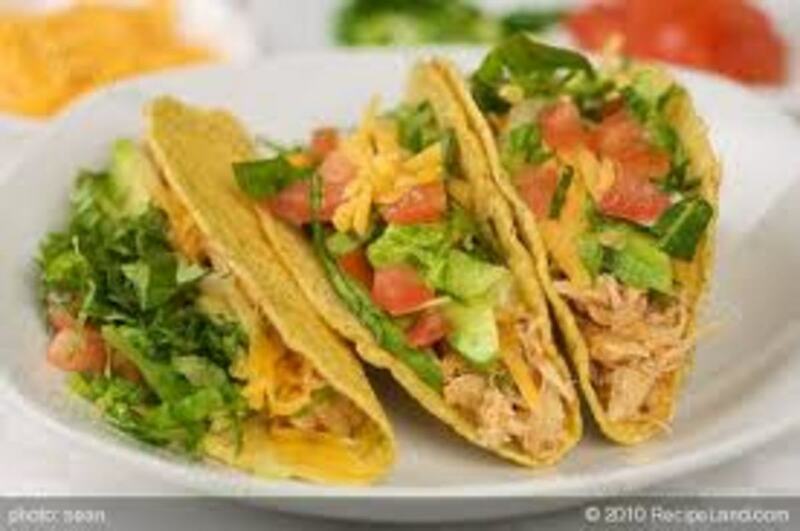 I had used several styles of lettuce spinners during the past 20 years, but none were even in the same league as the OXO Salad Spinner. Believe it or not --- I actually enjoy washing greens with this device and use it every day. Using the best tool available makes any task more satisfying, and this is the creme de la creme of salad spinners. This salad spinner features a 6.22 quart bowl and a 4.95 quart basket. Remember when you are shopping that Amazon will sort for you -- once you are in a specific section like Home and Garden, you can choose bestselling and Amazon will show you their bestselling items. Bestsellers are definitely the first indication of an item's quality. I would also consider sorting by 'average customer review' because ultimately it is the customers who will let you know if an item is good or not! Remember that clicking on any link shown in the list below and it will take you to that item in Amazon's Home and Garden section. It will provide you with more information about the item you are interested in and it will not obligate you to buy anything. Also, you can use this search box if you were looking for something on this page and did not find it. 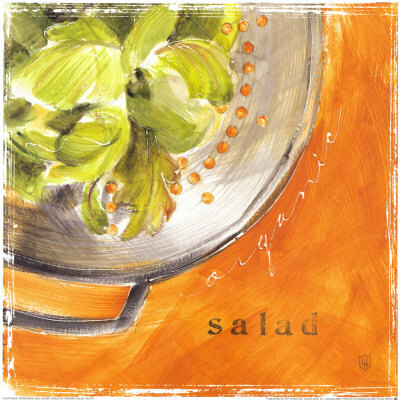 Is there a salad spinner in your life? 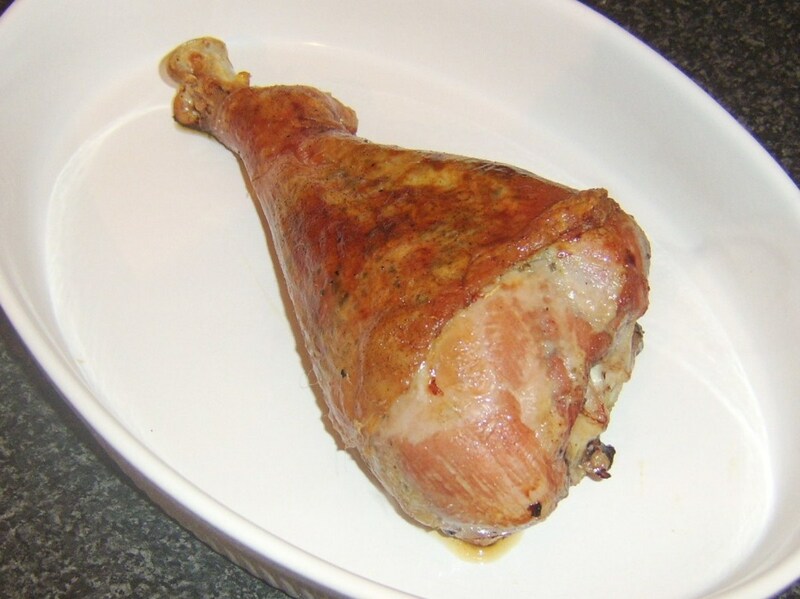 My husband wants salad for lunch today. This would be a big help. Had one years ago but never replaced it. I need to do that. I had an awful salad spinner years ago, It had drain holes in the bottom - so it leaked all over the place. I love this, need to get one really soon, especially for summer. The OXO sounds like a salad spinners dream come true...may just as well invest in the best! Sounds like a real help in the kitchen :) blessed. I have this exact salad spinner and love it. At first I thought it was kind of an excessive novelty item for the kitchen, but now I can't make a salad without it! OXO gadgets are the best. Thanks for the excellent recommendation lens, Brenda. I simply could not make salad in a reasonable time without my salad spinner. I don't have the OXO, but mine works great too. I also use it for batches of fresh basil I've washed and need to "spin" before I cut it up. This is on my wish list. Nice work. I have never used a salad spinner but based on your recommendations I'd be inclined to try this one. I do have one (different brand) but rarely use it, to be honest. I've bought some Oxo Good Grips products in the past few months and like them a lot. Quality stuff! 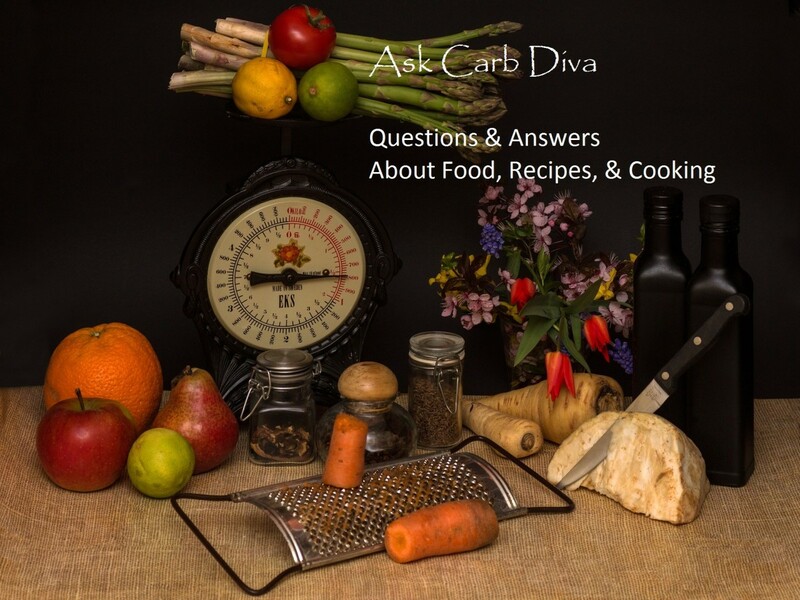 "This is great information! I am glad to find out about the OXO! I think the little one would be perfect for the two of us! 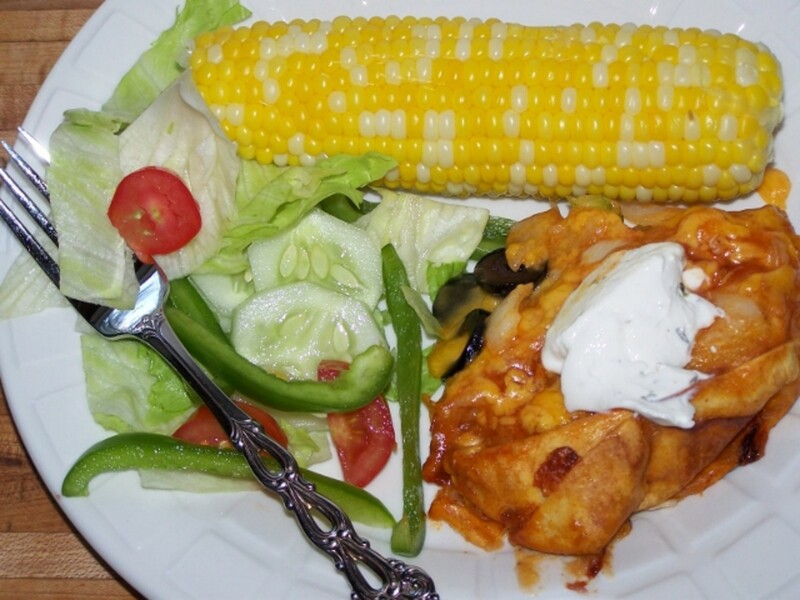 And we live on salads and fresh veggies all summer long!" I've had an Oxo salad spinner for years - it works splendidly! I really love my salad spinner! 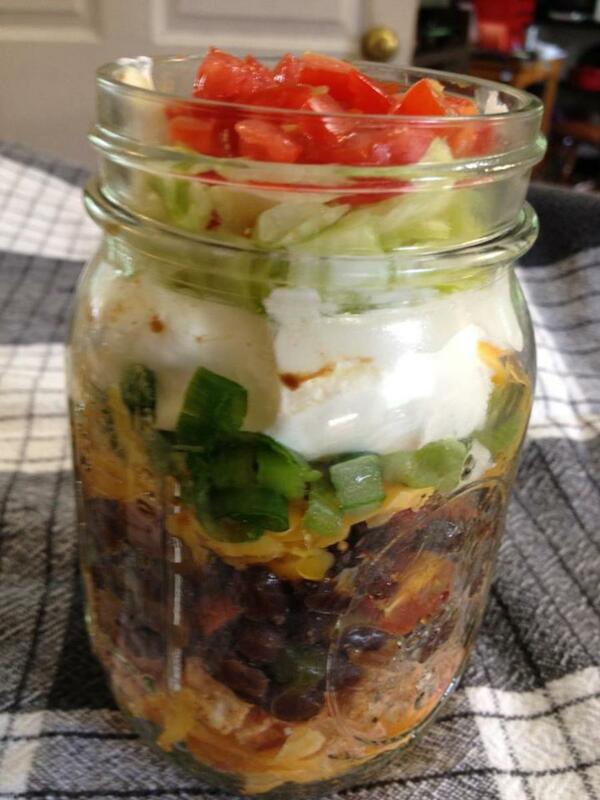 A very nice review of this affordable kitchen must-have for salad lovers! I really love the green one!